Combining a longer travel suspension fork with high volume 6Fattie (27.5+) tyres, the Specialized Fuse is one of a new breed of hardtail mountain bikes that delivers more capable performance on challenging terrain. Built from the ground up to make the most of the plus sized rubber, the Fuse combines dialled trail geometry with innovative frame design. This means that you can ride rougher, steeper trails with the kind of control usually reserved for full suspension bikes. There are four models in the range: three with an M4 aluminium alloy frame (Fuse Comp, Expert & Pro) and one with a FACT 10r carbon frame, the Expert Carbon. Trail ready out of the box, each model in the range features a ‘one by’ drivetrain for easier, more reliable shifting and hydraulic disc brakes for confident all-weather stopping power. You also get a dropper post so you can make the most of every trail section. 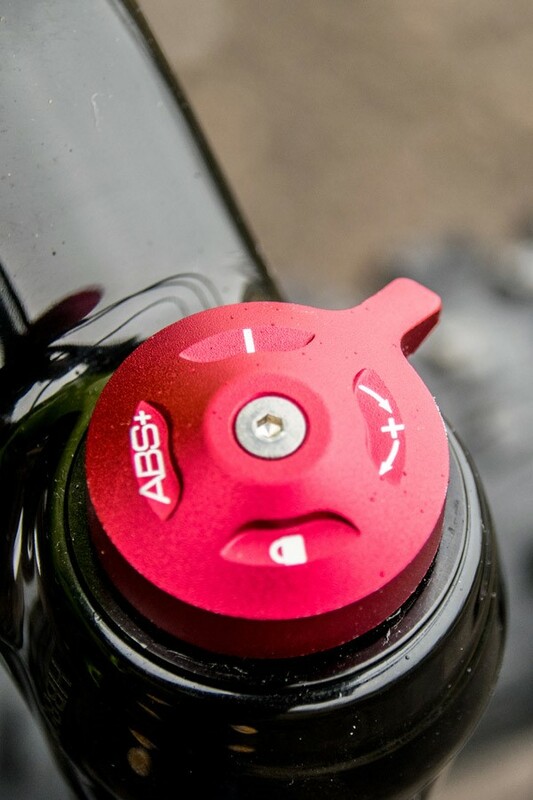 Optimized for downhill performance while retaining the ability to climb efficiently, the Fuse features a low bottom bracket height and a slack 67.5 degree head angle for stability at speed. 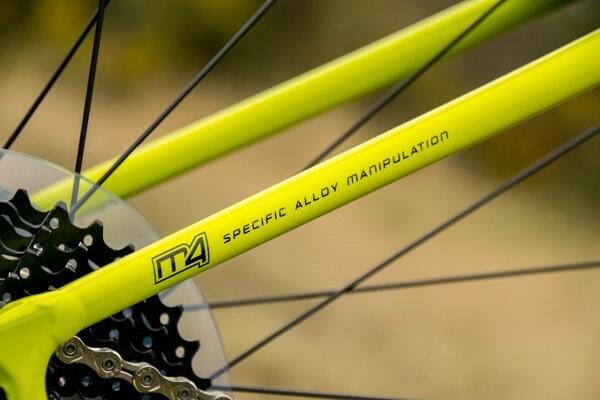 The innovative split design ‘diamond chainstays’ on the M4 alloy models keep the backend nice and short for nimble handling in the tight. As well as giving you plenty of clearance for the 3” tyres the wider Boost hub spacing means that the wheels are stiffer. The Fuse Expert Carbon shares that same dialled geometry as the alloy models but is lighter and stiffer. In addition to this you get a ‘SWAT door’ in the downtube that offers additional storage for your trail essentials. Each of the four models in the range feature a hard-hitting, 120mm travel (100mm on size small) suspension fork to help you tame the trail. The Comp features the capable SR Suntour Raidon fork, the Expert gets a Manitou Magnum Comp while the Pro gets a RockShox Reba RC3 with its refined compression damping options. At the top of the range you get a plush Fox Rhythm FLOAT 34 on the Expert Carbon. In addition to the suspension offered by the fork you get extra ‘float’ from the high-volume tyres that help to smooth trail chatter and soak up smaller bumps. This is a real stand out feature as it gives the Fuse more traction on rough ground as well as offering a smoother ride. With a ‘one by’ drivetrain, hydraulic stoppers and a dropper post on every model, the Fuse is ready to shred straight out of the box. Each model in the range features a SRAM ‘one by’ drivetrain that offers a wide range of gears without the need for a front derailleur. 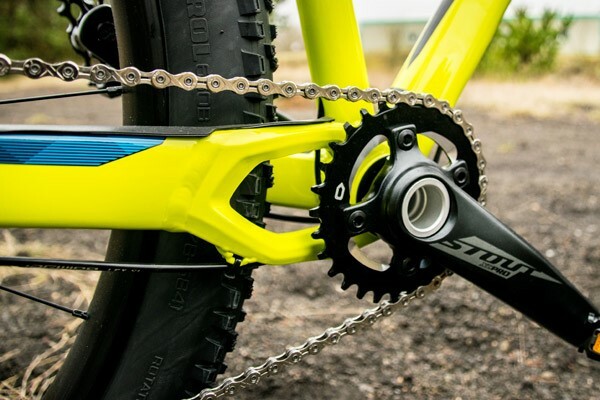 As well as offering simpler shifting, this means that you are far less likely to drop a chain when pinning it over rough trail sections. The Comp and Expert both feature wide range 1x10 speed gearing, while you get a 1x11 speed drivetrain on the Pro and Expert Carbon with an extra low gear for the really steep climbs. 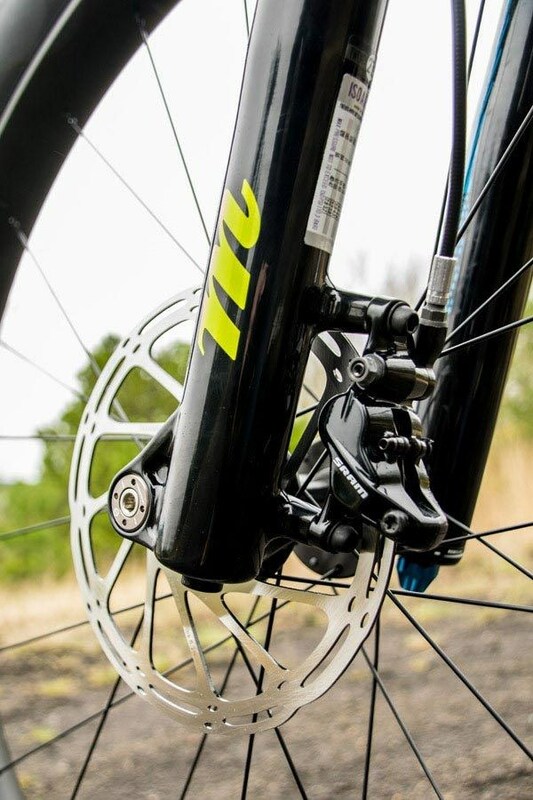 You get hydraulic disc brakes on each model too, so braking is powerful and consistent in all weather conditions. 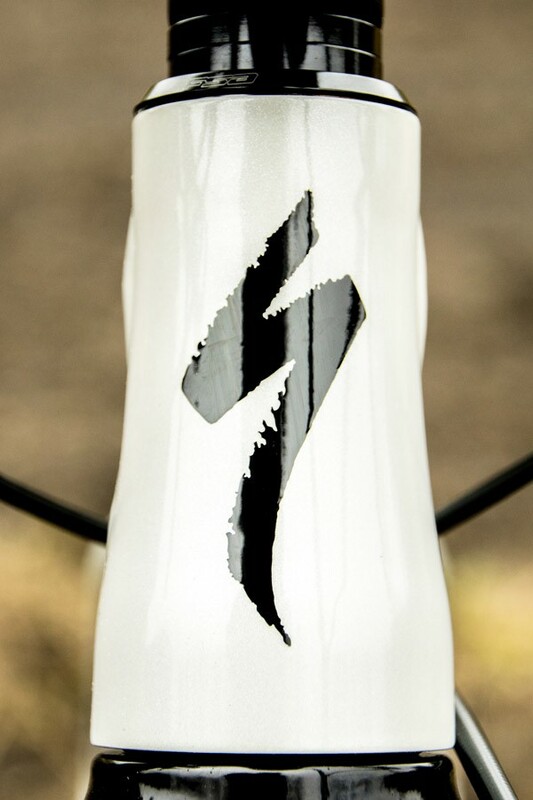 It is also great to see a dropper post on each model as this means you can lower you saddle on the fly to make the most of every trail section without needing to stop to fiddle with the seat clamp. The extra volume offered by the 3” tyres is what really sets the Fuse apart from other hardtails. The overall diameter of the tyres is similar to a 29er so the Fuse carries speed exceptionally well over both smooth and rough terrain. The higher volume means that you can run lower pressures, so the tyre will conform to the terrain. This offers more grip as well extra ‘float’, which acts a bit like suspension, for a smoother ride. The Fuse Comp and Expert both roll on the benchmark WTB Scraper i45 rims that deliver great support for the tyre while the Pro and Expert Carbon get lighter weight Roval Traverse 6Fattie hoops. 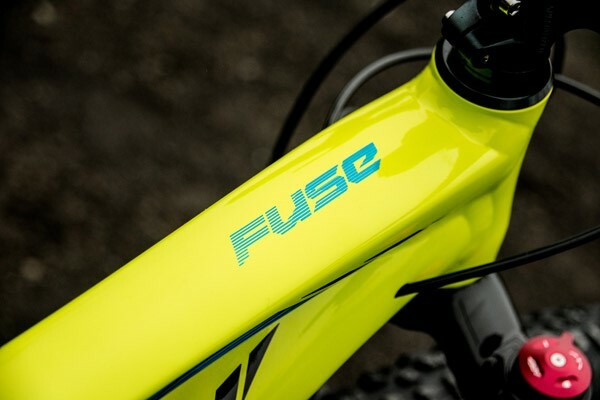 More capable on challenging terrain than a regular hardtail mountain bike, the Fuse is a great bike for those who want to smooth out the rough stuff without the extra complication and expense of a full suspension MTB. The extra grip and float offered by the 3” rubber means that you can ride more technical climbs as well as descents. With dialled trail geometry and a capable component spec on each model the Fuse will make a great first hardtail for the more adventurous new mountain biker as well as appealing to experienced riders who are looking for a simple, low maintenance MTB that can handle technical trails.